Sometimes, it may be troublesome to use water in order to wash the windshield at low temperatures. 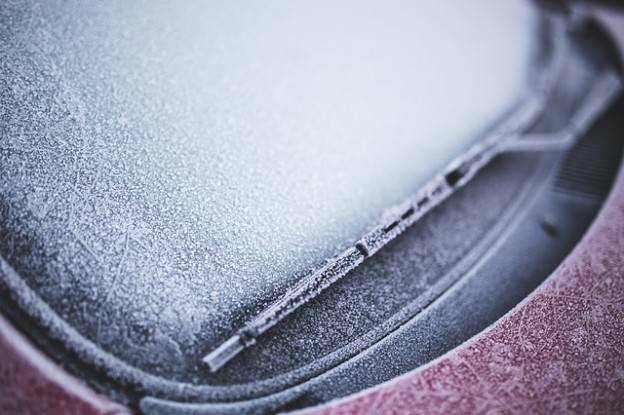 When being frozen, water may damage the windshield washer unit and leave runs or frozen water droplets that significantly obscure road view. The special non-freezing washer fluids may stand the drivers in good stead. They do not freeze even when it’s bitter cold. The freezing point of such fluids ranges from -5 to -50 ºC (sometimes up to -65 ºC) and depends on the alcohol strength. If the fluid is of poor quality or is kept improperly, it may turn into jelly. If this should happen, the washer system will fail to work. While choosing the windshield washer fluid, always take into account the climatic conditions of the region you reside in. Typical windshield washer fluids are based on the mixture of monobasic alcohols. Most every type of alcohol is proved to have a negative impact on human health, but methyl alcohol is considered to be the most dangerous out of all alcohols. Even five grams (5 gr) of methyl alcohol in the human body can cause the loss of vision. In common, the producers of windshield washer fluid use different fruit flavorings to subdue the smell of alcohol, but they do not affect the quality of the product. While choosing the washer fluid, particular attention should be paid to its composition and expiration date. The remarkable thing is that the expiration date is valid only if the product is kept in a proper way. The majority of drivers think that the cost of the washer fluid at wholesale or retail is not justified. The wholesale purchasing of washer fluid requires some simple rules to be followed: (1) If you are going to buy a few boxes of the fluid, it is necessary to focus on the package. Many manufacturers save on the packaging materials. The most durable and cost-effective packaging is considered to be plastic cans and bottles. But it should be born in mind that if the washer fluid is kept cans, some its useful properties may be lost; (2) Such negative factors as high humidity, or solar radiation may cause deformation of the container and its loss of tightness. As a result, the washer liquid loses its properties because the alcohol starts to evaporate from the non-freezing liquid; (3) If the container is not tightly-capped, the freezing point of the fluid may be significantly reduced. It is therefore, the drivers that have to be careful when filling the car windshield washer with fluid; and (4) It is recommended to buy the windshield washer fluid in specialized stores to eliminate the risk of improper storage.